How to teach your herding dogs! Herding Dogs are adored for their intelligence and beauty! The Herding Dogs are loyal and affectionate companions. Originally these dogs were bred primarily for use on farms. Herding dog breeds were developed to control livestock, with each type being uniquely suited to country where it worked. They were used to move the animals between fields, rescue strays from rugged terrain, and drive the livestock to market. Some were also guard dogs, used as guardians to protect livestock from predators. Herding Dogs have a lot of energy and love group work and play. They make superb pets for families that enjoy energetic activities. These dogs have great personalities and are appreciated for their keen intelligence and because they are highly trainable. 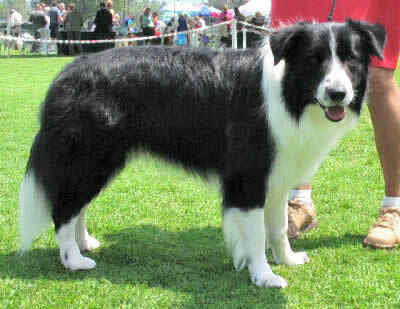 Dog Breed Information: Each of the herding dog types was developed for the unique region where they worked, with some being quite adept at gathering strays from rugged terrain. Many would worked independently, but others worked in close harmony with their keepers, developing the close relationship between man and dog. Herding dog types are medium to large in size. There are a number of sports that the herding dogs excel in, including agility, obedience, and flyball. Due to the nature of their breeding, they are also quite adept at herding trials and tracking. Those with the right disposition and socialization can also excel at some jobs such as therapy dogs or as assistance dogs to people with disabilities. With an ability to act as guard dogs, some also work as police dogs. Dog Care Tips: These dogs are high energy dogs. Herding dogs need an activity to focus on. It is important to provide them with a job that will keep them both physically and mentally stimulated. If they aren't given a job, there is a very good chance they will find their own, which may be chewing or digging up the garden. Herding dog breeds are not aggressive, but they were bred as herding dogs and sometimes as guard dogs. Because they were bred to move animals much larger than they are, they are not easily intimidated. Some may have a tendency towards nipping and herding. Training and socialization is important, and they will respond well with positive reinforcement. They require an owner that is dedicated to providing them with training and a focus. These intelligent animals are enthusiastic learners and will readily adapt to a variety of stimulating activities.